Evolving from a fishing village bordering Hong Kong, Shenzhen, in south China's Guangdong Province, is now one of China's megacities. It has been the country's fastest growing economy over the past four decades. The city was born under special circumstances. Right after China adopted its reform and opening-up policy at the Third Plenary Session of the 11th Central Committee of the Communist Party of China (CPC) in December 1978, Shenzhen was set up as a city in January the following year. In 1980, it was upgraded to a Special Economic Zone (SEZ) along with three other coastal cities in south China, with the aim of making it a pioneer in exploring ways to carry out reform and opening up. When Wu Jinqing arrived at the Shenzhen River in a rowing boat with his parents in the 1940s, it was a desolate place with few residents along the river. The family thought they could do better fishing there so they decided to stay, even though they couldn't afford to build a house on the bank. The whole family had to squeeze into a 4-square-meter boat and live on the river through every season. Gradually more fishermen from nearby areas in Guangdong moved along the river and a community was formed and named Yumin, or Fishermen, Village. In the 1950s, with the support of the local government, many fishing families were moved up to the bank and settled down. But life was still difficult. The huge contrast between incomes in Hong Kong and Yumin Village prompted many to spare no effort in trying to reach Hong Kong. The situation changed almost overnight after Shenzhen became an SEZ. Yumin Village, because of its unique location as the closest place in Shenzhen to Hong Kong, was set up as a trailblazer in the city. In 1979, with the preferential policies of the Shenzhen SEZ, people in Yumin Village organized transportation teams of freight ships and opened for business. Some entrepreneurs from Hong Kong started renting houses in the village and converting them into factories. The rent went straight into the villagers' pockets. In 1981, the annual income of the 35 households in the village surpassed 600,000 yuan ($94,200), translating into each household getting more than 10,000 yuan ($1,570) annually, a sum that many in other regions in China couldn't even dream of at the time. In 1981, it built villa-style apartments for villagers, each with a garden, fishing pool, refrigerator, rice cooker and TV—luxurious for Chinese people at that time when the average yearly per-capita GDP was no more than 400 yuan ($62.8). It quickly became the wealthiest village in China, placing it in the spotlight ever since. In 1984, the late leader Deng Xiaoping visited the village and praised it for its development. In 1992, it set up a stock company with every villager as a stockholder, making it the first village stock company in China. In 2001, it made almost 100 million yuan ($15.7 million) and used it to demolish old buildings and construct new residential compounds, 90 percent of which were used for renting, whose proceeds went directly to the villagers. A property management office was set up to manage the rental apartments. "The people who left the village for Hong Kong started to flow back," Wu said. Wu's family can now get more than 50,000 yuan ($7,834) each month from rent alone. As an original stockholder, Wu also gets profit-sharing payments every year from the stock company. President Xi Jinping visited the village in 2012. "Life now is far beyond what I could have imagined when I was young," said 80-year-old Wu, who now works as a volunteer in the village. As the "walking history book" of the village, he loves to share his story with visitors. "Without reform and opening up, it is hard to say what my life would be like now," he added. The development of the Shekou Industrial Zone is another microcosm of the rapid growth of Shenzhen. The industrial zone took the lead in breaking many shackles and tried every possible way to develop its economy. "Now, we might take the achievements for granted, but every step the pioneers took in the reform and opening-up process was full of risks. They were heading on a road that no one else had ever taken and didn't know whether every step would work or fail in the end," said Liu Wei, Deputy General Manager of China Merchants Shekou Industrial Zone Holdings Co. Ltd. In the Shekou Museum of Reform and Opening up, launched in December 2017, there are two exhibition halls. One is about the history of the Shekou Industrial Zone, while the other is about Yuan Geng, dubbed the "father of Shekou." "Yuan is a legendary figure," Liu said. "He was a fearless explorer and played a key role in establishing the Shekou Industrial Zone." Born in 1921 in Boan County, now a district of Shenzhen, Yuan joined the CPC in 1938 and served in the People's Liberation Army as a soldier before becoming a senior military officer. He became a diplomat after the founding of the People's Republic of China in 1949. When he was dispatched to south China to do research on possible development plans in 1975, he was already 61 years old. After thorough investigations, Yuan concluded that to develop the economy, foreign investment had to be injected into China's economy. His proposal got a go-ahead from the Central Government. Yuan chose a piece of undeveloped land in west Shenzhen, which covered over 12 square km and bordered the New Territories in Hong Kong, for an industrial district. He helped build it from scratch to attract overseas investment, aiming to fuse the advantages of cheap land and labor from the mainland with Hong Kong's funds and technology. On July 2, 1979, the groundbreaking explosion demolishing the hills in Shekou became known as the "first explosion of reform and opening up." It made way for land construction to begin. Shekou, the test tube of the project, set out on a new experimental road. A large container was renovated to be the team's office and was set down right at the construction site. As the leader in the reform campaign, Yuan conducted a series of bold experiments in the industrial zone and made 24 institutional reforms, including distributing wages and housing based on performance and merit, rather than according to official rank, a method that was commonly used in state-owned enterprises in China at that time. Overcoming a variety of difficulties, Yuan established the China Merchants Bank, China's first joint-stock commercial bank, and Ping An Insurance, the nation's first joint-stock insurer. He also engineered the revival of the state-owned China Merchants Group, a conglomerate founded in 1872. In 1982, there were more than 100 companies settled in Shekou. Many shopping malls started to spring up, with the first bonded area and the first duty-free shop in China all emerging. 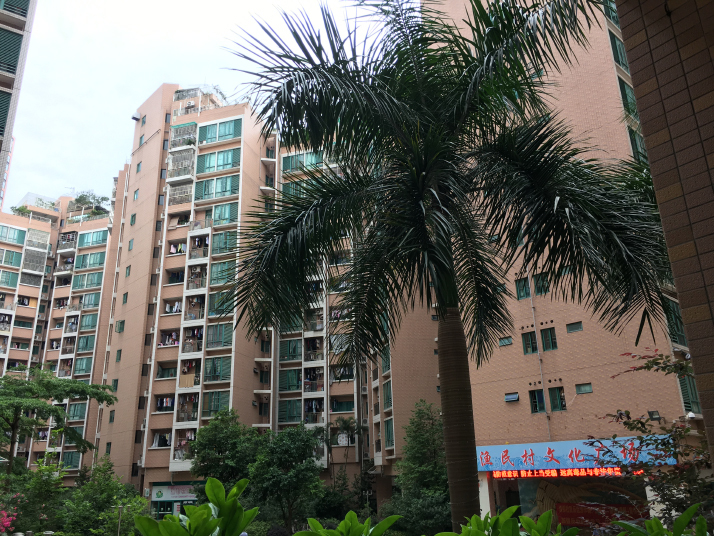 "Shekou is very efficient," Lin Xiaojing, who has been living there for almost 50 years, said. "If a person wanted to set up a company, the application process was normally three months in other regions of the mainland. But in Shekou, it only took 10 days." This has made Shekou a magnet for business starters. By 1992, when Yuan retired at age 75, Shekou had become an industrial kingdom worth over 20 billion yuan ($3.13 billion), and per-capita GDP had climbed to 32,000 yuan ($5,000), on a par with the Four Asian Tigers at that time. In 1979, the GDP of all of Shenzhen was 197 million yuan ($31 million), while in 2017, the number jumped to 2.24 trillion yuan ($352 billion), an average annual increase of 23 percent. Shenzhen has become a gold mine of possibility for people all over the country seeking innovation and adventure. Some 30 years after Shekou took the lead in reform, Qianhai, a neighboring area, took the baton to expand and deepen reform. Similar to Shekou, Qianhai started from nothing. Zheng Hongjie was dispatched as director of the newly established Qianhai Shenzhen-Hong Kong Modern Service Industry Cooperation Zone Administration in January 2010 right after the zone was established as a pilot district designed to facilitate greater cooperation between neighboring Hong Kong and the mainland. The office of the administration was also renovated from abandoned containers at the construction site. But this time it was a much bigger one with a complex of 333 containers. About three weeks after taking office as General Secretary of the CPC Central Committee in late 2012, Xi chose Guangdong as the destination for his first inspection tour outside Beijing, and he visited Qianhai. "Xi said that since the country has provided favorable policies to Qianhai, it should boldly go forward," said Zheng. "This is very encouraging to us." On April 27, 2015, Shekou was incorporated and the Qianhai-Shekou Free Trade Zone was set up. 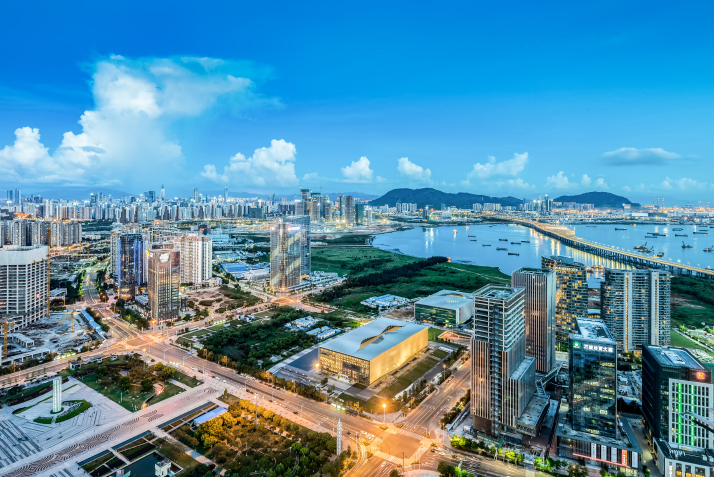 Spanning 15 square km of newly reclaimed land on the western edge of Shenzhen, Qianhai is slated to become a large Central Business District (CBD) with a cluster of high-end offices, hotels, apartments and civic institutions when its development is completed by approximately 2020. "Yuan Geng explored a new pattern for reform," Zheng said. "Now we will explore new systems and institutions for future development." Institutional reform is the major focus. By June 2012, the State Council had approved 22 policies for Qianhai that were even more preferential than those for Shenzhen. 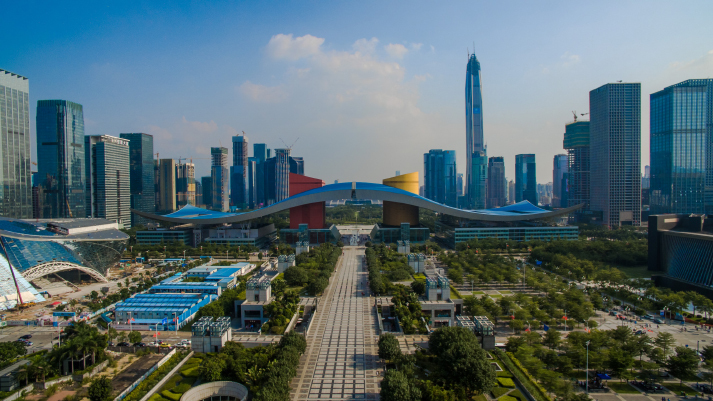 "It is an SEZ within the Shenzhen SEZ, which is very innovative in terms of policy, technology and financial services," said Wang Jinxia, Deputy Director of the Qianhai Management Bureau. Legal innovation and financial reform have become the key to the zone's international recognition, and it has attracted companies from home and abroad. Hong Kong laws can be applied to settle economic disputes in Qianhai, which has been highly appreciated by Hong Kong enterprises. The Qianhai zone has also offered preferential tax policies to overseas talent since 2013. Foreign professionals only have to pay a 15-percent personal income tax rate, while in other areas on the mainland, the amount is 45 percent. In addition, it only takes three work days to register a company in Qianhai, with an average of seven companies from Hong Kong settling in Qianhai on a daily basis. Chen Sheng, a Hong Kong local, started his company in Qianhai in 2015, as one of the first batch of businesses in the zone. Within a year, the companies got 50 million yuan ($7.85 million) worth of financing. By 2017, they started helping China's brand to go abroad with their international networks. Statistics show that the total added value by firms registered reached 203 billion yuan ($31.8 billion) in 2017, with a year-on-year increase of over 40 percent. As of the end of March, the zone had had a total of 168,600 registered companies, or an average of 88 new enterprises per day. "We have completed the planned goal three years in advance, making it China's fastest-growing zone," said Wang Jinxia, Deputy Director of the Qianhai Shenzhen-Hong Kong Modern Service Industry Cooperation Zone Administration. Dapeng New District, on the other hand, has a different goal from Qianhai's big CBD objective. It aims for a milder and greener image as the city shifts from high-speed to high-quality development with more focus on environmental preservation. With an area of 294 square km and a coastline of 133 km, Dapeng New District is rich in marine resources and is a destination for diving enthusiasts. This is the only area in Shenzhen that is not evaluated by its GDP. In the 1990s, companies with intensified energy consumption and pollution emissions populated the area. To restore the ecological environment, 184 such companies were shut down. Ninety-seven companies renowned for research in biomedicine, gene technology and marine organisms were set up, including the China National Genebank, the largest genebank in the world. The government is not alone in ecological protection. Dive4Love, a non-governmental organization (NGO) initiated by a few diving fans, aims to protect the sea's coral. 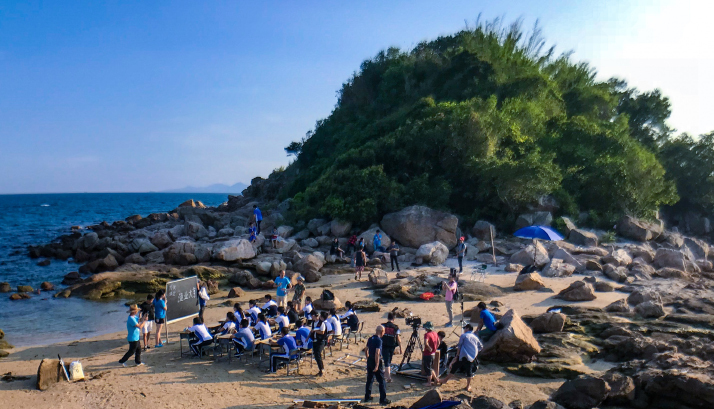 The organization, now with more than 1,600 registered volunteers, set up classes on marine ecology in every primary school, middle school and high school in the Dapeng New District. The students sometimes have their classes on the beach. By December 2017, the group had cleaned up 115,000 square meters of ocean and collected over 200 kg of marine debris. There are 112 volunteer organizations in Dapeng New District, including the largest coral conservation team in the country. The volunteers in the district are from many countries including Australia, Indonesia, Malaysia and Thailand. "We have gained a reputation as a coral protection NGO," said Shen Xiaoming, one of the founders of Dive4Love. "Many divers carry our flag wherever they go diving and take pictures with the flag underwater to share on social media. We believe with the collective efforts of various parties, Dapeng and Shenzhen can be greener and prettier."